Finally our wait for Apple iPhone/iPad simulator has come to an end! 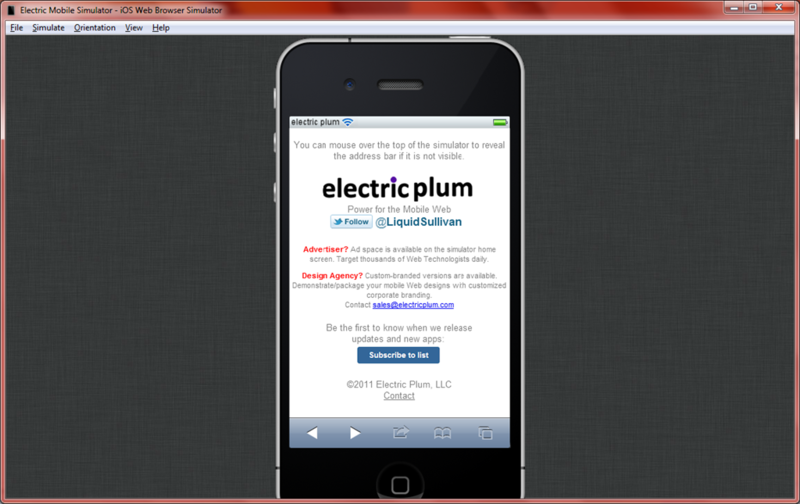 Now you can test your web applications using iPhone/iPad emulator for Windows!!! 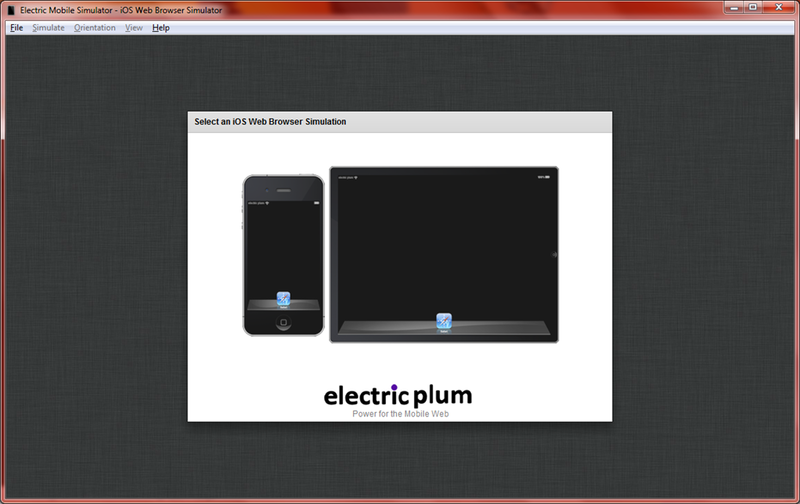 Thanks to Electric Plum for this awesome simulator for Windows. Download the Apple iPhone/iPad Simulator from the link. Once you download the link, install the simulator by clicking on setup.exe. Once you are done with installing, launch the Electric Mobile Simulator! It gives you an option to choose which simulator to launch – iPhone / iPad. Now select the desired device, to test your web application! Let say, we selected Apple iPhone! 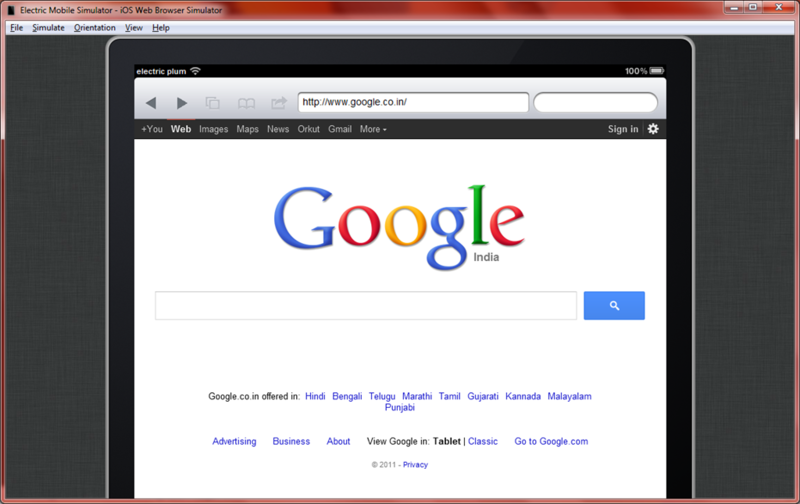 To enter the URL, mouse over on the title bar, it shows the Address Bar, where you can type the URL. 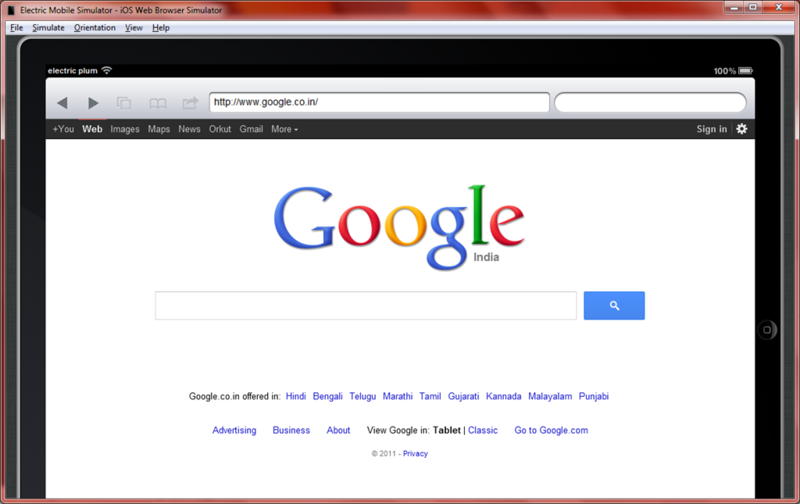 Here we go with mobile web page of Google! If you want to switch over to iPad, you can always go to Simulate->iPad. 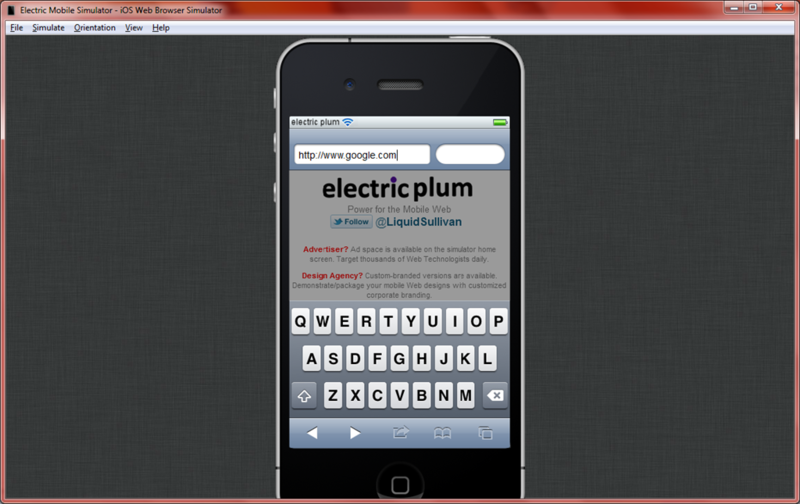 Tip:- You can make you website Mobile compatible by adding the Viewport meta tag to your web page. 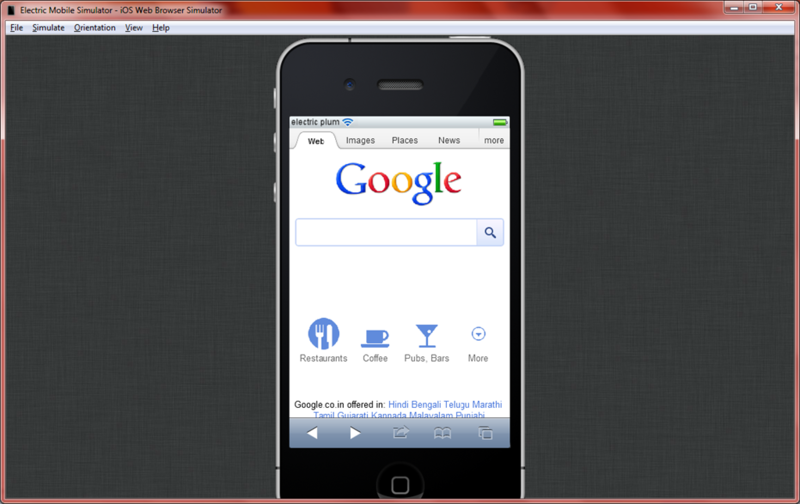 For more information on Apple iPhone web development, do check my previous blog post.